Clara Schumann 200th Anniversary Festival at St. John's Smith Square, London, 22nd - 24th February : "a weekend of music and discussion on Clara Schumann – pianist, composer, wife, mother, friend, and muse.". Clara was a pioneer - one of the first "celebrity pianists" like Chopin or Liszt. She toured Europe, drawing large audiences wherever she went, so much in demand that she was effectively the breadwinner in the family. She organized her own schedule, bookings and what today we'd call "management". And all this at a time when women were expected to eschew public activity, and middle class married women in particular were supposed to stay at home. She certainly had enough children to keep her occupied, and Robert must have been hell to live with at times. All the more reason to honour her, not merely as the wife of a great composer. Without her, Robert might not have produced the masterpieces of his Liederjahr, and much else. Indeed, Robert and Clara as a pair were social pioneers, too, since Robert supported her career and independence. Not many men were so progressive. He also encouraged her to branch out as a composer. The Festival begins on Friday 22nd with a recital featuring Clara's complete works for voice and piano with Sophie Karthäuser, Alessandro Fisher and pianist Eugene Asti, who recorded the songs for Hyperion. The recital,is preceeded by a talk by Natasha Loges, who is an excellent speaker : definitely recommended. On Saturday 23rd Eugene Asti will lead a masterclass in Clara's songs for singer-pianist duos from Oxford Lieder Young Artists. This should be high quality, a notch above many masterclasses. 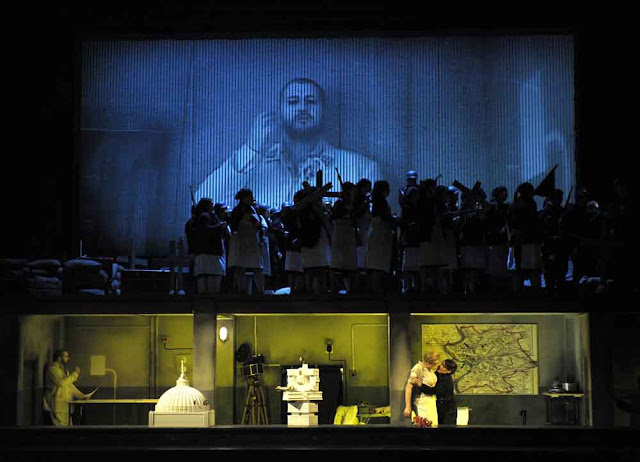 This scheme is an offshoot of the OxfordLiedervFestival, organized by Sholto Kynoch, with which Asti, Natasha and Stephen Loges have been connected for many years. ferne Geliebte Op. 98, with its longing for a distant loved one, precedes Robert’s Fantasy in C which includes a brief quotation from the Beethoven cycle, undoubtedly penned with Clara in mind. Three concerts on Sunday 24th February. The first, starting at 11 am, is "Clara and Brahms" and features Clara’s Piano Trio in G minor Op. 17 (her only piano trio) togetherwith one of her personal favourites – Brahms’ dramatic and turbulent Piano Trio in C minor Op. 101. Both works will be performed by the Busch Trio. Felix Mendelssohn and his close friendship with the Schumanns (and Brahms) is celebrated in “The Mendelssohn Connection” in the afternnon. The tight-knit nature of this friendship group is reflected by the opening works – 2 Brahms settings of poetry by Felix Schumann (son of Clara and Robert, who they named after Felix Mendelssohn). The rest of the programme consists solely of works by Felix Mendelssohn – a selection of Lieder; his Lieder ohne Worte Book 5 Op. 62 for solo piano (dedicated to Clara), with its well-known Ein Frühlingslied; and, to conclude, the stunning Piano Four Hands in A MWV T 4 ‘Allegro Brilliant’ Op. 92, which Clara and Felix played together in Leipzig.Mhairi Lawson (soprano) joins Asti, Momen and Khamis. Romances, one of her more frequently performed works nowadays; and secondly, the F-A-E Sonata which the composers dedicated to Joseph. This piece was first played through at a friendly get together by Clara and Joseph at Clara’s home. Both works will be performed by members of the Busch Trio. The Clara Schumann Festival ends with Brahms’ Vier ernste Gesänge, written towards the end of his life. The songs were first played to a group of close friends at a private gathering immediately after Clara’s funeral. 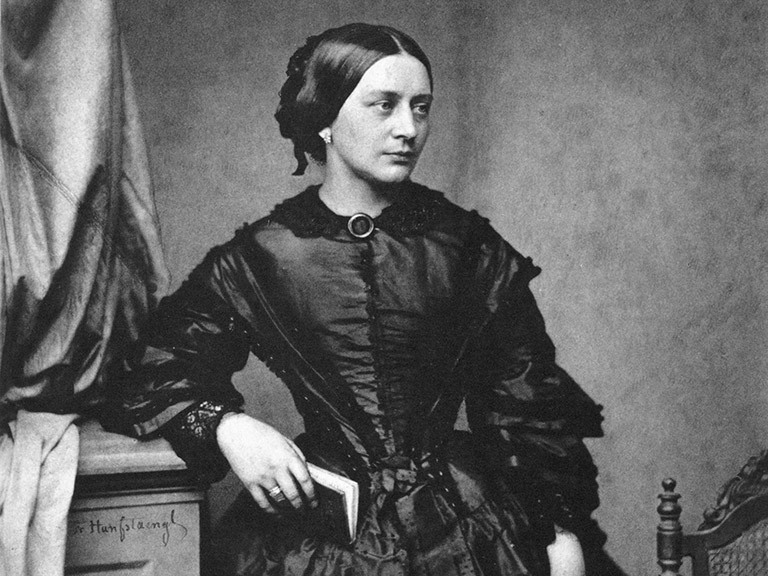 After the cycle was published, Brahms sent a copy to Clara’s daughter Marie Schumann. Accompanying the score was a letter in which Brahms wrote: “…You will not be able to play through these songs just now because the words would be too affecting. But I beg you to regard them… as a true memorial to your beloved mother.” Brahms passed away 11 months after Clara. Stephen Loges sings, accompanied by Eugene Asti, with Omri Epstein and Mathieu van Bellen (violin). Tickets available HERE, for individual recitals or weekend pass.